There are several good reasons for buying life insurance when you’re young. While everyone’s situation is different, there are some factors to consider that you may not be aware of. Adler Insurance, your local life insurance agent, brings you these tips. 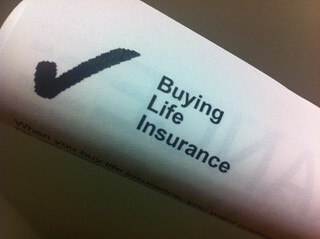 Benefits: Life insurance is primarily purchased for the death benefit, but life insurance also has living benefits. The purchase of a whole life policy while you’re young can create a cushion for expected, or even unexpected events. Cash value accumulated in a whole life policy can be borrowed against, and used for a college education, a wedding, or even purchasing your first home. Your life insurance professional can help you structure your loan properly. Retirement: Most of us understand the importance of having a 401K, an IRA and investment accounts to prepare for retirement. Having a whole life policy as part of your retirement portfolio means you can use some of the cash value of your life insurance to supplement your retirement income. Premiums: The cost of life insurance premiums are based on age and health. Generally, the younger you are, the lower your life insurance premiums will be. If you wait until you’re older, you risk the possibility of a health status change, and you may be unable to obtain life insurance at an affordable cost, if at all. You’ll want to lock in your premium while you’re young--then it’s guaranteed to never increase. Family: If you’re young and single, you may have more disposable income at this season of your life versus waiting until you have the expense of starting a family to consider. Whether or not you are starting a new family or just out of high school, thinking about getting life insurance in Prescott is a must! Adler Insurance is here to help, call 928-710-1455.